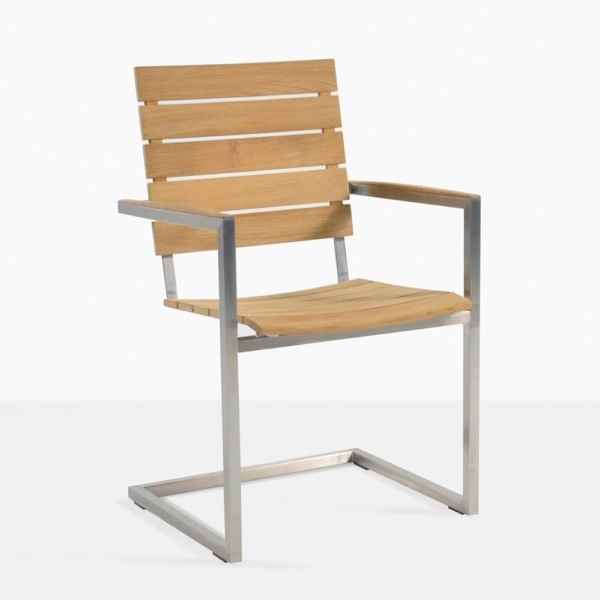 A stunning combination of A-Grade Teak and #316 Stainless Steel, the Bruno Dining Chair has a modernist style and sophistication making it an ideal addition to any indoor and outdoor dining setting. Featuring a sleigh-style frame, for a light, rocking feeling and contributing to an all round airy look.Try this chair around one of our glorious Stainless Steel Tables, or fuse styles by putting 8 Teak Bruno Chairs around a Raw Concrete Square Dining Table for a contemporary architecture impact in your back yard! 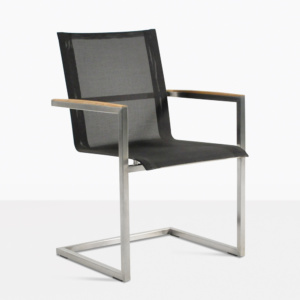 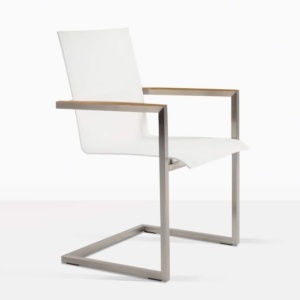 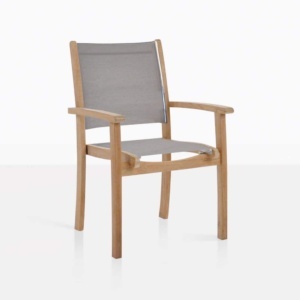 This beautiful chair is also available in Black, Taupe or White Batyline® mesh material.